The Credible Alternative to Liposuction, creating Inch Loss, Body Contouring and Skin Tightening – all in one system! Body contouring and skin tightening system. One of the very few medically certified systems, with clinical studies, combining Ultrasound Cavitation (Inch Loss) and Radio Frequency (Skin Tightening) for fat cell destruction, cellulite treatment and skin tightening. Affordable and far cheaper than liposuction or surgery, it is completely safe and painless. 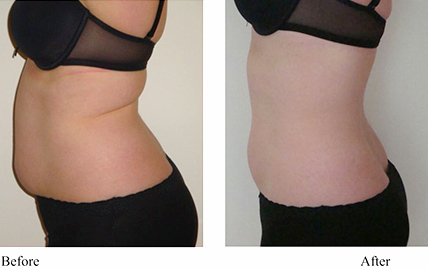 Unlike many other laser lipo treatments, there is no need to exercise or diet whilst having a course of treatments! This phenomenon is called cavitation and is a very smart way to reduce fat, because it is converted into liquid and then is naturally eliminated with urine. Nowadays the ultrasonic cavitation is considered as a treatment alternative to surgical liposuction as a non-invasive procedure with results obtained in short terms. The machine works with ultrasounds that form bubbles in the tissues where the fat cells are located. The bubbles expand and are immediately compressed afterwards. The temperature increases due to sudden variation in pressure and the bubble implodes. This implosion damages the fat cells, reducing the localised adiposity. Results can be seen after just one treatment. Patients with kidney failure, liver failure, carrying a pacemaker or other electronic devices, pregnancy, lactation, hypertriglyceridemia, hypercholesterolemia or had cancer within the past five years should avoid this procedure. Please note – no alcohol can be consumed 24 hours prior to the treatment. Lipofirm Plus is one of the most popular and advanced treatments. For maximum effectiveness clients are recommended to have to have 8 sessions of the Lipofirm Plus body treatments – one every 10 – 14 days on their target area. Measurements are then taken before and after the 1st, 4th and 8th treatment to progress. Immediate results are expected, typically with 2-4inch loss with every Lipofirm Plus session. After a course of 6-8 treatments most clients see quite dramatic results. A treatment specifically designed to fight the signs of ageing. This is a lifting facial that tones the skin and exercises the muscles, enabling them to regain tone and firmness thus lifting the features and giving the face a rejuvenated effect. Add in the radio frequency treatment with its tightening and toning effects for the best possible results. 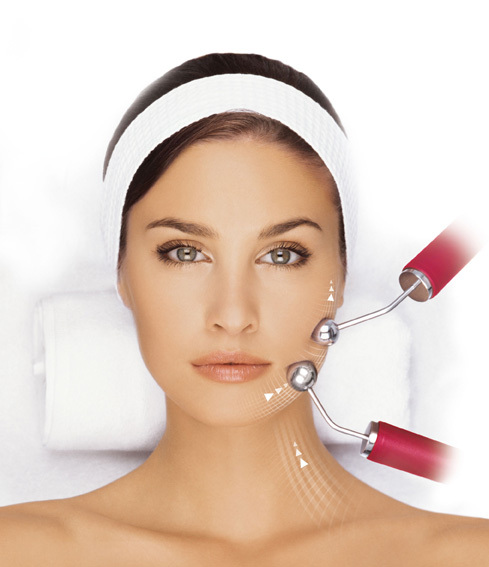 This treatment is specifically designed to fight the signs of ageing. The dermis – the deeper layer of the skin, is gently heated, stimulating the production of elastin, collagen and hydrolonic acid, responsible for keeping the skin’s firmness, elasticity and hydration levels thus improving the tone, texture, strength and appearance of the skin, reducing fine lines and wrinkles.